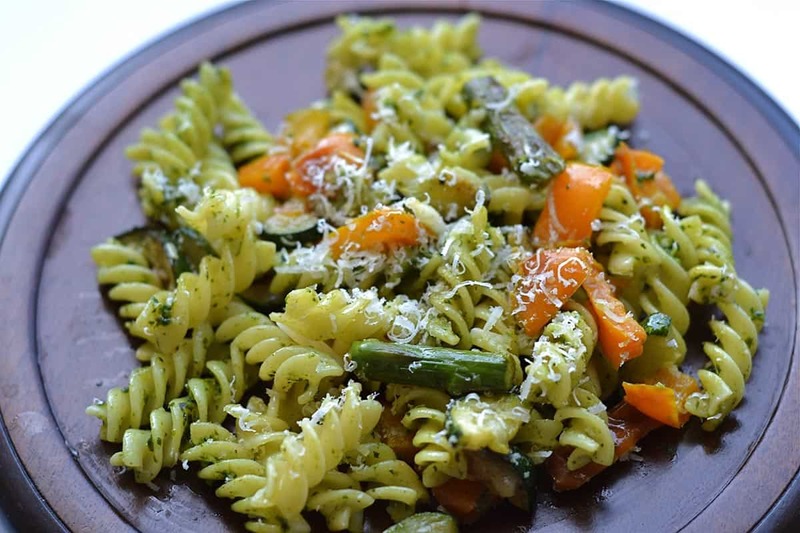 This Fusilli Pesto Primavera has spring time written all over it. 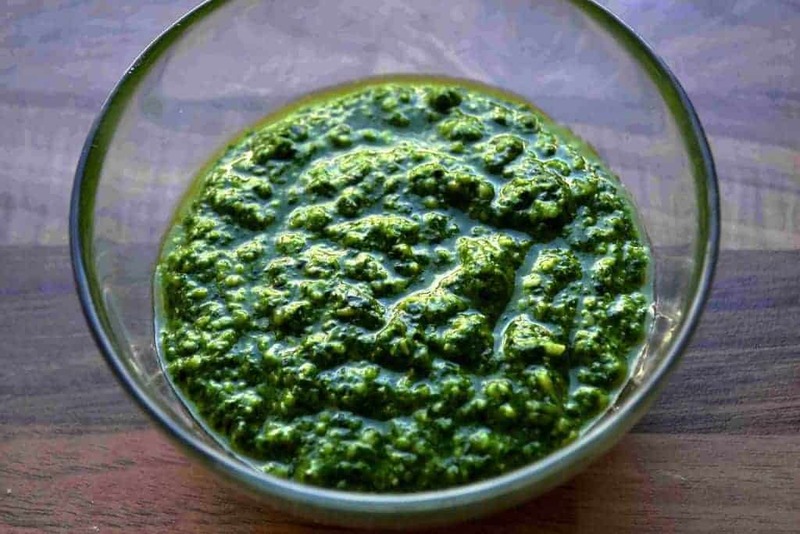 Combining a few of the best spring time vegetables with a delicious spinach pesto. Oh and it will take you less than 20 minutes, start to finish! 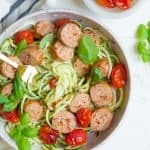 How is that for an easy weeknight meal? Asparagus is only in peak season for a few more weeks, so I’m trying to make the most of it. I’ve also combined it with orange bell pepper and zucchini. The veggies can easily be swapped for different ones and to your taste, but if you’re making it in the spring months, these vegetables will maximize your nutrient absorption! You can obviously use a different kind of pesto, but I love the freshness of a homeade pesto. 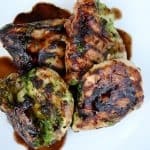 This recipe also keeps well in the fridge for over a week, and you can always find plenty of uses for it. You’ll toss the cooked veggies, pesto, and pasta together. Top with some parmesan cheese and salt. Enjoy! Boil fusilli according to package directions. Heat up a large skillet to medium and add olive oil. 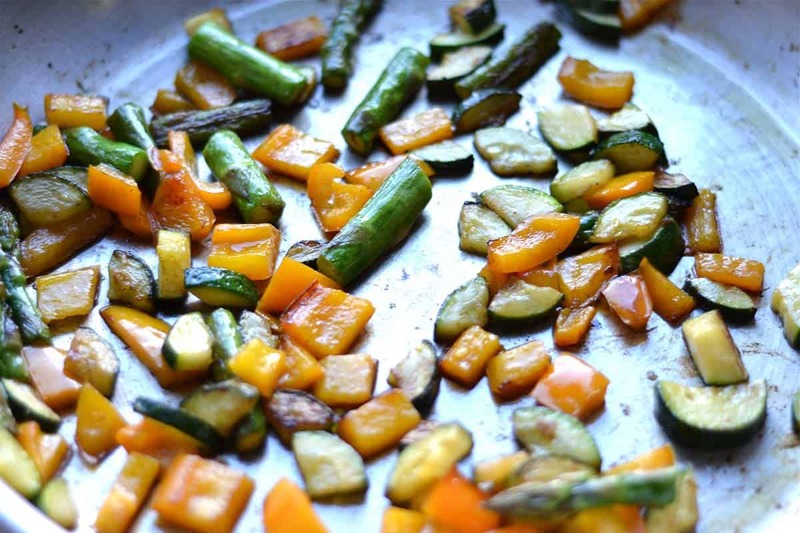 Chop up the veggies into small pieces and throw into the skillet. Saute for 10-12 minutes, stirring occasionally, until veggies are crisp and golden. Toss the veggies with pasta and add pesto. Mix to combine, add salt to taste.